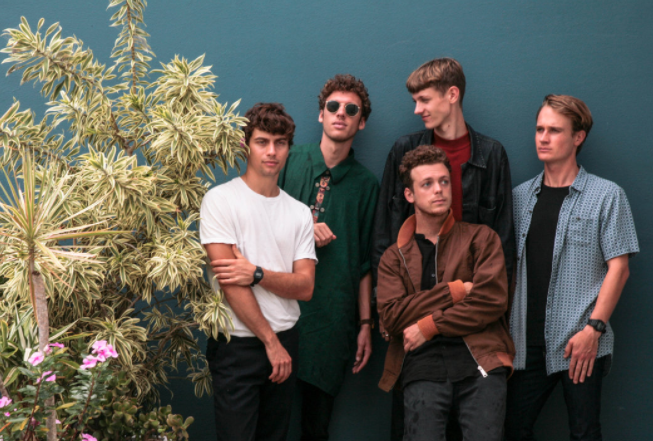 Byron Bay's Tora has unleashed their new single 'Amsterdam', which is also a taste of their forthcoming album (due later in the year). As evident from the title, it can be assumed that 'Amsterdam' was inspired by their lengthy time on the road and tour across Europe. Before I kick into my thoughts on 'Amsterdam', it's important to note what Tora have been up to. Along with international tours, their trip around the globe also included massive festival appearances at Glastonbury, The Great Escape, and Best Kept Secret. Now onto 'Amsterdam'. The title of the song doesn't only give us a hint of what the song is about, the opening line is "I became stoned in my Amsterdam home, I got high for a week" — yep, we can safely assume this one is about the great city of Amsterdam. 'Amsterdam' isn't your typical chillwave track, the haunting winding guitars lift it to another level. Though it's easy to zone out and let the stunning instrumental possess you, you can also feel the encountering danger. It's almost a paradox — the lush nature of it has a calming quality, but for whatever reason, you're still on edge waiting for something bad to happen. The layering of the production is intricate, and the many levels of 'Amsterdam' weave around each other beautifully. Tora has enchanted us once again with 'Amsterdam'. I want more. Right now.